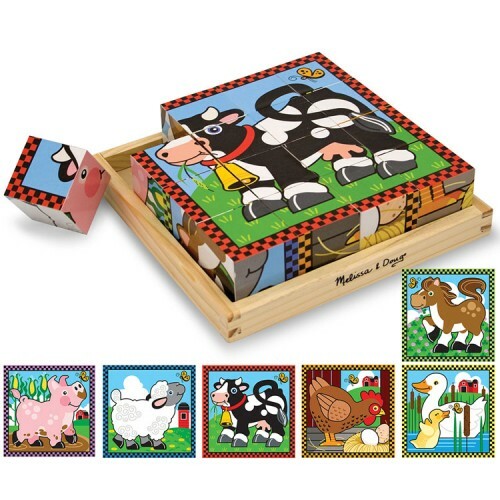 The Farm Cube Puzzle by Melissa & Doug delivers 6 farm animals puzzles in one! Let's talk about value! 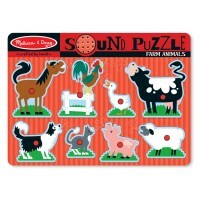 The Farm Cube Puzzle by Melissa & Doug delivers 6 farm animals puzzles in one! Sixteen colorfully illustrated wooden blocks challenge your child to correctly assemble a picture featuring a happy, friendly cartoon farm animal. Hello, Mr. Sheep! 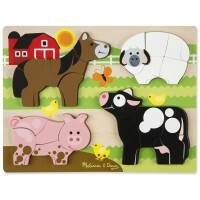 Reassemble the pieces to reveal five other bright and cheery scenes with more fun animal characters; including a muddy pig, playful cow, and happy duckling. A sweet yellow butterfly makes an appearance in each scene as well. Color-coded checkered borders help your child choose the picture to assemble. 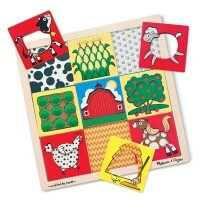 Wooden blocks from the Farm Cube Puzzle are easy to grasp and rotate. 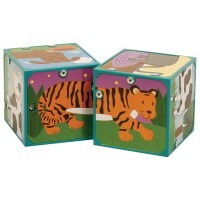 The puzzle's 3-D construction helps to develop spatial recognition, matching, and memory skills. 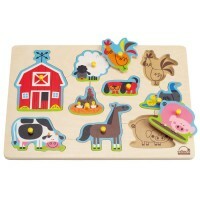 The wooden tray that comes with this Educational Toys Planet farm animals puzzle toy makes this a great toy to keep young minds entertained at home, in the car, or on a plane. 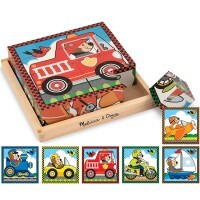 The number of pieces and versatility of this puzzle make it fun for solo play or play-time together. 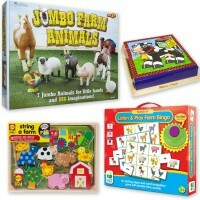 Spend time on the floor putting pieces together, making animal noises, and creating stories about your lively farm animal friends. 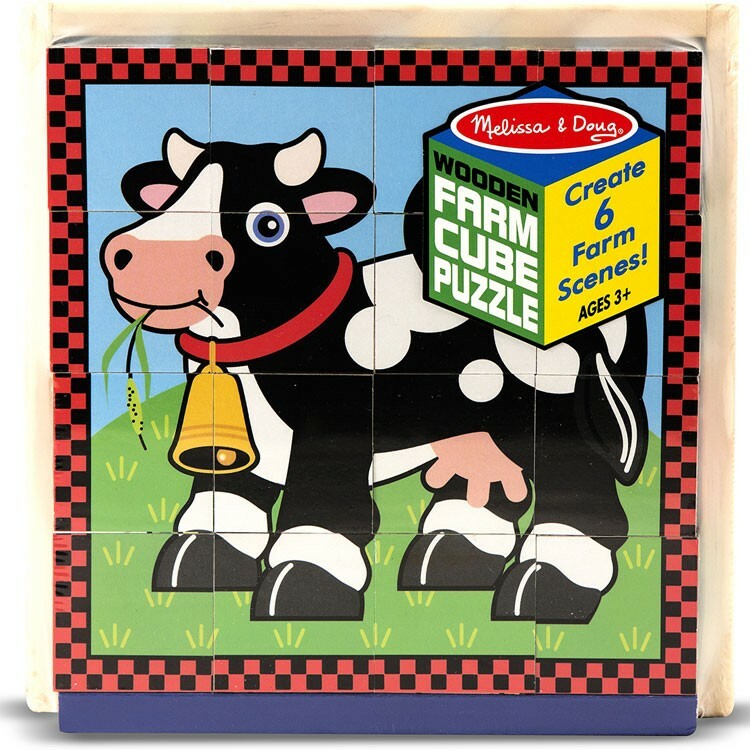 Dimensions of package 8" x 8" x 2.25"
Write your own review of Farm Cube Puzzle. Rating: 5 nice and challenging for my 2year old who loves puzzles! by Krista An overall wonderful experience. Everything shipped quickly and was as described! Rating: 5 by Marcia, ID This is a great product! It offers multiple puzzles plus lots of discrimination & higher-order thinking levels. It was a bit too complicated for my just-turned-three granddaughter. 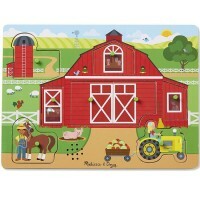 But it encourages interaction from her gparents, parents & siblings as they work together to put the puzzles together. She stuck with it & was determined to do it. The only thing that concerns me a little is that on one or two of the blocks, it looked like the pictures were not glued on tightly. Am wondering how long before the pic comes off? But I like the product well enough that I am going to be ordering another one right away for my almost-three grandson!